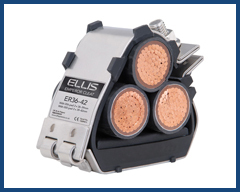 NASCO provides an expanded selection of cable cleats and accessories through the new partnership with Ellis Patents Ltd, based in the UK. 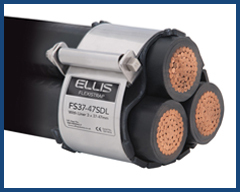 Ellis Patents is known globally for its quality product and excellent customer service. 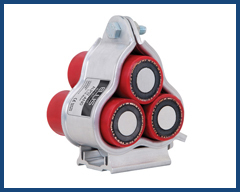 Industries using our cable cleats include data centers, power generation and distribution, transportation, water and other utilities, oil and gas (onshore and offshore), defence, OEMs, and others. 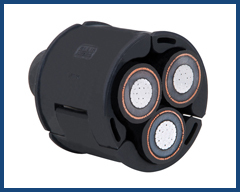 Custom made cable cleats are available for different specialist situations. 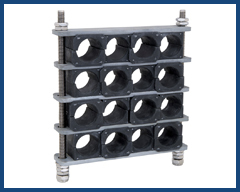 For example if you need mount products onto a non-standard structure, or the application requires cable clamps in a non-standard format or size. We also have requests for a specialist surface treatments, such as painting, plating, or galvanizing. 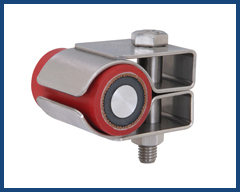 Just like our standard products, custom made clamps are designed to withstand the toughest conditions, and can be made for special environments, such as high shock load, high or low temperature or large temperature range, tunnel (including railway), unusual or aggressive corrosion of fire. Difference between Cable Ties vs Cable Cleats – In short circuit environment. 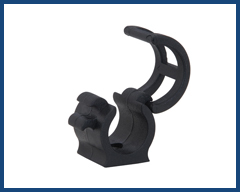 This product is a fully polymeric cable clamp designed for fast installation. Due to its non-metallic design, the cleat is impervious to ‘bi-metallic corrosion’. 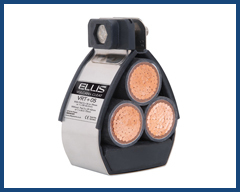 It is also suitable for use in the harshest of environments. The hanger material is a high strength nylon. It conforms to the standard including toxicity, limited oxygen and smoke emission. 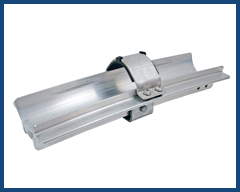 This product has extruded marine grade aluminum spine, and due to its unique design also offers high strength and rigidity. 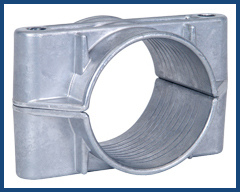 Cable Guide Clamp – Cable Guide and Cable Clamp Combined. 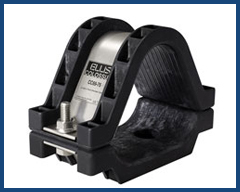 Cable Guide Clamps are available for single cable applications that require a cable guide and clamping system for large diameter cables. Watch the video below in order to see how to install Flexi-strap cleat. Before ordering, please specify whether you need a standard form (SD) or heavy duty form (HD) of the product.